The first ever artist-in-residence at the Metropolitan Museum of Art in New York City, DJ Spooky, will be taking his galaxy of sampled sounds to Boston’s Museum of Science. On September 24, Spooky (Paul D. Miller) will perform the world premiere of his new album, The Hidden Code, in the Museum of Science Planetarium, a cosmic collection of compositions born from conversations with Dartmouth scientists, which will feature Dartmouth physicists on saxophone and reading original poetry. I was fortunate enough to talk with DJ Spooky about his upcoming performance, the intersection of art and science, and the power of silence in song. Buckle up for the ride of the universe. Jon: You composed the music for The Hidden Code based on conversations with Dartmouth physicists, astronomers, engineers, biologists, brain scientists, and computer scientists. How did you synthesize what they had to say and then compose? DJ Spooky: Let’s go back to the times when people weren’t so hyper specialized—like the Renaissance. A mathematician could be a philosopher, a philosopher could be a poet, a composer could be an engineer. My last open source album project was Of Water and Ice, and I based it on Johannes Kepler’s equations about ice. We had almost a million downloads/listens. It made me realize that musicians need more science, and science needs more music. I love stuff like that. Music is just another kind of science—it’s pattern recognition. I worked with the scientists to figure out common themes—I like to call it “dialectical montage,” like the cinematography of Dziga Vertov or Sergei Eisenstein. Every conversation is a kind of cinematic scene. The music illuminates that process. Jon: People often think of art and science as contradictory. What say you? DJ Spooky: Art is music, music is art, and writing is layers of them both. I don’t think of them as separate at all. Jon: For the modern ear that is accustomed to predictable rhythms and melodies, experimental music, or at least music without an easily discernible form, can be off-putting. How would you encourage people to listen to such music? Can people learn to love avant-garde when they’ve been on a pop prescription? DJ Spooky: Hip hop and techno are all about a kind of pattern—standardized. They’re just different tempos. I wish people would get out of that old 20th-century mentality where everything was separate components (like the “factory” of Henry Ford, Warhol, or Thomas Edison, and get more into “systems thinking,” where the pieces that make up any part of the composition are all reflections of connectedness. Think Oliver Sacks meets Grand Master Flash. Jon: What role does silence play in rhythm? In a song? In a soundtrack? DJ Spooky: Silence is so powerful that we innately fear it. The compositions that I’ve made for The Hidden Code are meant to take place from The Big Bang all the way over to the edge of the known universe. I guess you could say that they are compositions that are meant to last over 45 billion light years. That’s a lot of sound. A lot of silence. Jon: How would you describe your music without using genres? DJ Spooky: I think of patterns in everything—sound waves are just our way of making “anthropomorphic projection,” the basic method of human communication. I don’t use voices that much, but I sample them and use material to create new collages from old. Samples, sounds, and science. It’s all a remix. Jon: In college you were collecting records and started throwing art parties to pay the rent. Describe what those were like. Also, do you still throw art parties? DJ Spooky: I’m crazy busy and usually have a zillion things to do. I don’t get around to parties as much as I would like. But my art, books, and music are played at parties a decent amount. I’m happy with that! I’m 45 years old now! Jon: You’ve collaborated with a vast array of artists, like Metallica, Chuck D, and Yoko Ono. What were those collaborations like? How did those opportunities come about? Also, who would you like to collaborate with in the future? DJ Spooky: Every collaboration is a conversation. I think of what I do as a kind of open source situation—I truly do not care about normal copyright. But most of these artists do. I firmly believe that the creative act is always an exchange, a gift economy of the mind. Those were fun projects, and there will be many more. That’s what The Hidden Code is about. Jon: If you were on a trip to the Moon, what music would you bring to soundtrack the ride? DJ Spooky: I’m always a big fan of sampling, so I’d probably have a lot of small fragments of songs. Who needs the whole thing when you can get the riffs and remix them! I’d be making mixes on the moon, no problem. Want to read more interviews with DJs, rappers, and hip-hop heads? Check out our Beantown Beats column. 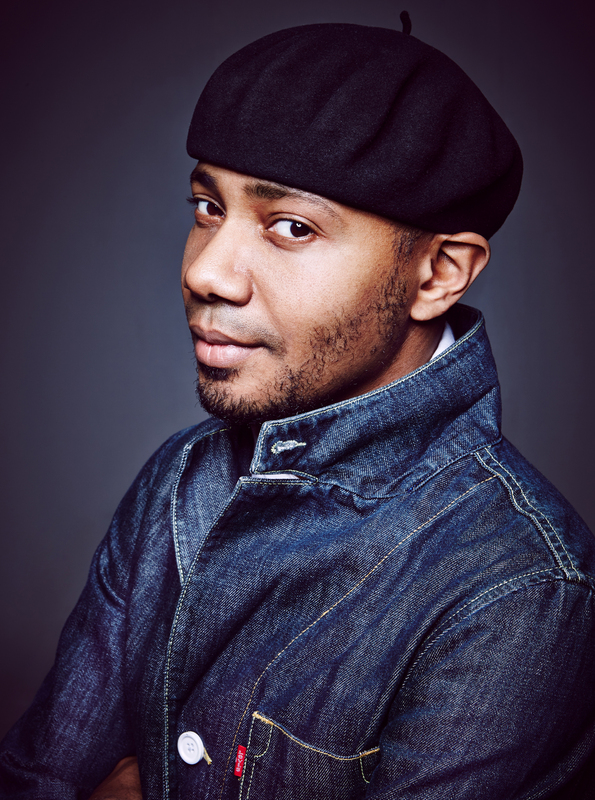 Want to purchase tickets to DJ Spooky’s premiere? Do the damn thang.